There is a fine line between history and folklore, sometimes the two intertwine until the fact is completely eroded or unimportant to the telling of a good story. Below is one such tale, where the “facts” remain but the sources have all but disappeared. 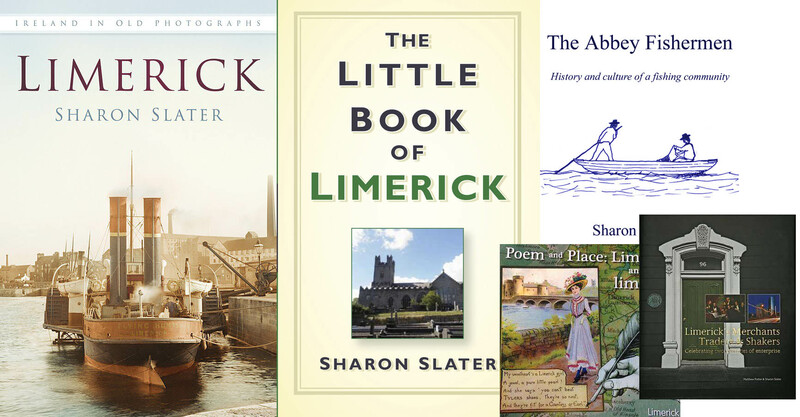 The Great Famine years 1846-1850 were tough for the entire country, and although Limerick City did not suffer the great blight, it did suffer the fallout. One of these fall outs was the influx of people from neighbouring towns and villages. These people sought sanctuary with in stone walls of the city. 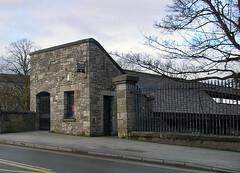 The new Workhouse on the Shelbourne Road had opened only a few years prior to the Famine in 1841 and soon reached capacity. 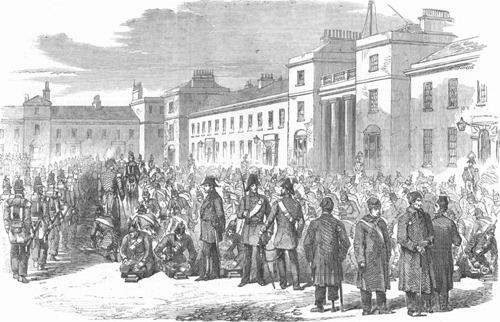 As this option became open to only the most destitute in the city others had to find alternative and more elaborate means to escape the doomed fate of the nation. This bring us to the location of M.O’Driscoll Gold and Silversmith on Bridge Street, just off Mathew Bridge. This uniquely shaped building with it frontage on what appears to be an end gable, and slanted roof is situated almost on the bridge itself, backing onto the Potato Market. It was previously owned by George Moore in 1769 and Henry Downes 1788, and would later trade hands again several times. One day, during the famine period, it is said that a man, of working age, walked up to the window of the building. This man would not have been entitled to enter the workhouse and though he was fit to work there were very little jobs available. At his wits end, but with a plan to avoid starvation, he thrust his fist through the goldsmiths window. Once his hand was inside he placed his fingers on the jewellery, and waited. He was waiting to be arrested, as he knew that for a crime such as this he would undoubtedly be deported to Australia. Though the journey into the unknown would have been a daunting prospect, it would have been a better choice than the fate that awaited him at home.